En fast och bra kudde att använda vid tex Yinyogan, meditation och som hjälp vid olika yogapositioner. När kudden inte används i yogan, så är det en fantastisk inredningsdetalj i hemmet. "Sky Feather Zafu Meditation Cushion celebrates the master craftsmen who carved leaves, flowers and other foliage into the solid stone doorway arches and borders of India’s mosques, palaces and old mansions. 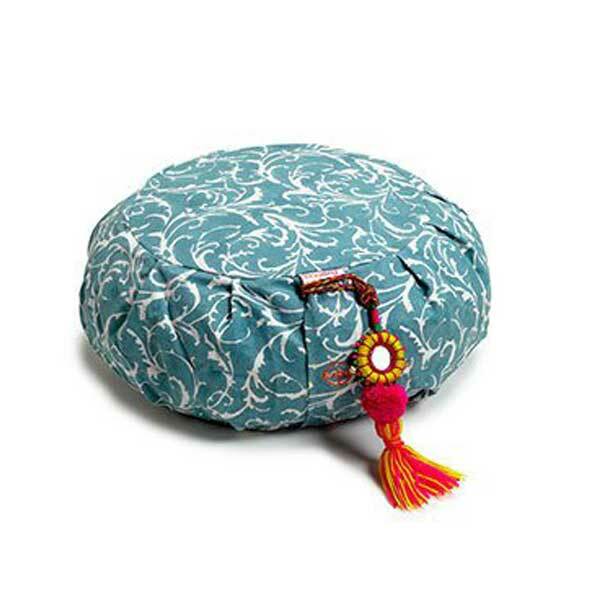 A feathery design similar to foliage patterns found on the Udai Bilas Palace in Rajasthan, Sky Feather Zafu Meditation Cushion comes in a warm shade of tranquil blue. Finished with illuminating orange detail and a colorful tassel like those seen on the camels of Rajasthan’s great Thar Desert. Lovely in any home practice or studio interior. Provides spine support and alignment when meditating and during pranayama practice. Buckwheat hull fill adjusts to body contours. For leg and knee support and comfort, pair Sky Feather Zafu with a color co-ordinated Sky Feather Zabuton. 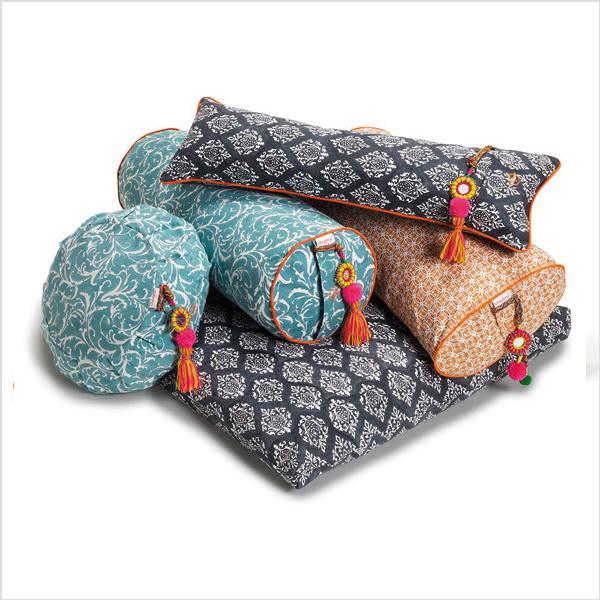 So beautiful you won’t want to put your chattra meditation cushions away.